Singaporeans and Singapore Permanent Residents are automatically enrolled into the ElderShield scheme at the age of 40. The basic ElderShield scheme provides a standard level of insurance benefits even though the scheme is administered by 3 different insurers (i.e. NTUC Income, Aviva and Great Eastern). Policyholders have the option to “upgrade” their ElderShield benefits if they prefer to have a higher level of coverage than the one provided in the basic scheme. The “upgrade” is done through the purchase of “ElderShield Supplements” which is offered by the 3 insurers administering the ElderShield scheme. Furthermore, each policyholder is allowed to use up to $600 a year from your Medisave to purchase an ElderShield supplement to upgrade your coverage. This limit of $600 is an additional amount separate from the limits for other insurance plans such as Integrated Shield Plans. 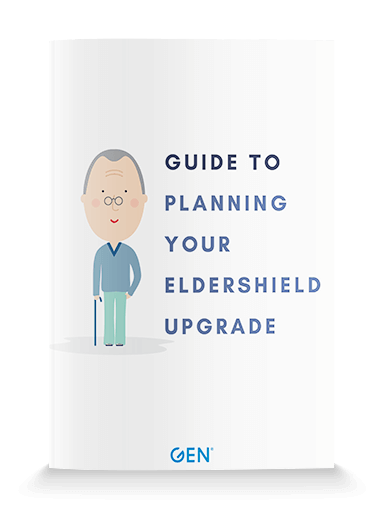 This guide is to help you understand how you can use ElderShield Supplements to upgrade your ElderShield insurance coverage. To download fill up the form below and a download link will be sent to your email.